What’s the weather like in new Zealand in November? 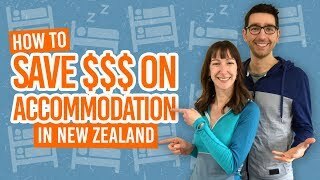 Travelling New Zealand in November! Then you’ve picked the perfect time to soak up some warm New Zealand weather while experiencing the country in it’s “shoulder season”. Often, you’ll feel like you have the whole country to yourself. What’s more, the mild climate of spring makes it the perfect time to do outdoor activities in New Zealand, from hiking to white water rafting. So you know what weather to expect while travelling in November, we’ve put together this quick guide of typical New Zealand weather in November. The New Zealand seasons are different to what is experienced in the Northern Hemisphere. In New Zealand, summer is during December, January and February. Autumn is during March, April and May. Winter is June, July and August. Finally, spring is throughout September, October and November. To learn more about the New Zealand climate, check out The New Zealand Seasons and Climate. Plus, you might like our Month-by-Month Guide to the Best Places to Visit in New Zealand. 5 Tips for Travelling in November in New Zealand. 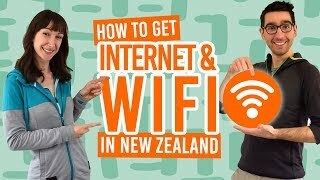 Here are a few handy tips to make travelling New Zealand in November a little bit easier. If you’re travelling the South Island especially, make sure you have insect repellent! The sand flies start to emerge in November and can leave itchy bites. Make sure you apply high factor sunscreen several times a day, even on a cloudy day. The hole in the Ozone layer is just above New Zealand making the UV rays pretty intense. Pack an extra layer in your day pack – even in spring the weather can change quickly. While booking transport, accommodation and activities doesn’t need to be done way in advance for November, we still recommend booking at least a few days in advance. If travelling the South Island, make sure you check out the Victorian Fete in the town of Oamaru. November is the last month of spring. With that, the temperatures are mild on the lead-up to summer. However, New Zealand experiences slightly different climates across the country so take a look at the list below to see the average temperature of the areas you will be visiting. The extreme weather patterns like intense rain or wind starts to die down during November in New Zealand. However, there’s always the chance of rain and slightly cooler nights so be prepared. Otherwise, there are many clear days in November great for getting outdoors. While there is little rainfall in comparison to other months in New Zealand during November, there are some areas of the country with a much wetter climate than others. Here’s a list of average rainfall in each area of New Zealand during the month of November. Thanks to November being an uncrowded season (to be fair, New Zealand never really feels crowded), these are the best places to go before the busy summer tourism season starts! Milford Sound – One of New Zealand’s most popular sights, Milford Sound is much quieter in November and it’s one of the seasons with less rain so it’s a great chance to see the fiord on a clear day! Aoraki Mt Cook – With plenty of snow still covering the mountains, Aoraki Mt Cook National Park looks amazing this time of year. Tongariro National Park – Hike the Tongariro Crossing, New Zealand’s most popular day walk. Geraldine – White water raft on the pumping Rangitata River after all the snowmelt! Hamilton – See the Hamilton Gardens during the spring bloom. For events in November, see New Zealand in November. Add these items to your New Zealand packing list for November! For a more in-depth packing list, see The Ultimate Packing List for an Extended Trip in New Zealand.